A post-mortem examination, also known as an autopsy, is an examination of a person’s body that is carried out in order to investigate what the cause of death may have been. The examination usually includes an assessment of the main internal organs and of parts of the body that are thought may be involved with the cause of death. The post-mortem is undertaken by a pathologist, who is a specialist doctor that assesses tissue to discover disease and the causes of injury. They are appointed by the Chief Coroner’s office to undertake post-mortems to assist local coroners as part of inquest investigations. Why is a post-mortem needed? A post-mortem examination is necessary to help explain how a person died, and will enable a coroner to decide whether the death needs to be investigated further by an inquest. In some cases, the post-mortem will be able to confirm a cause of death and no further steps are necessary. In those circumstances, a coroner can conclude their investigation at that point, because the cause of death has been clearly explained. If this happens, the coroner will write to the family to explain this and to say why they are not continuing with an inquest. Can family be present at a post-mortem? Yes, as an interested party, a family member has a right to be present at a post-mortem if they wish. This can however be distressing for family members. Relatives can appoint a medical practitioner to attend the post-mortem instead if they prefer. Can I object to a post-mortem taking place? A post-mortem is likely to delay the time it takes for a body to be released to a family, and hence when a funeral can take place. The coroner must request a post-mortem as soon as possible, but this can sometimes be delayed and take longer than expected. This is understandably upsetting for the grieving family. There have been several recent cases where religious families and communities have complained to coroners about burials needing to be delayed. A swift burial is important in many religions, and some do not believe that there should be any physical intrusion with the body after death. The coroner has to finely balance carrying out an effective investigation, with respecting the dignity and beliefs of the family. The family have a human right under the European Convention of Human Rights to express their religious beliefs. If their religion objects to an intrusive post-mortem, then they have a right for this to be recognised. These rights are however subject to such limitations as are prescribed by law and the interests of public safety, the protection of health and others. If a coroner feels that an intrusive post-mortem is necessary, perhaps because of a possible risk to the public of further deaths, then this is considered a priority. Unfortunately, delays at Coroner’s courts are common and are often long. Despite the expectation of a maximum time of 6 months between the death being reported to the coroner and the inquest hearing, this timescale is often not met. I have seen particular conflicts between Jewish and Muslim communities and coroners because of delays, and of the undertaking of intrusive post-mortems. The tension is in part caused by the lack of guidelines or set timescales on undertaking a post-mortem or on when the body can be released. It would be helpful for the Chief Coroner to set strict timescales on how quickly after a death a post-mortem should take place, and for when the body should be released to the family. Some people object to the desecration of their loved one’s body due to the invasive nature of a post-mortem. The family can request that the post-mortem is ‘non-invasive’, which is where is it undertaken by MRI or CT scan. These are often equally effective methods for investigating the cause of death without the need to surgical assessment. The family would usually have to pay for this, as it is a more expensive process. This option may achieve a balance between coroners discharging their duty to investigate the death properly, whilst respecting religious beliefs. It is important that if a family raises concerns with a coroner about the post-mortem, non-invasive options are offered. Can I stop a post-mortem? 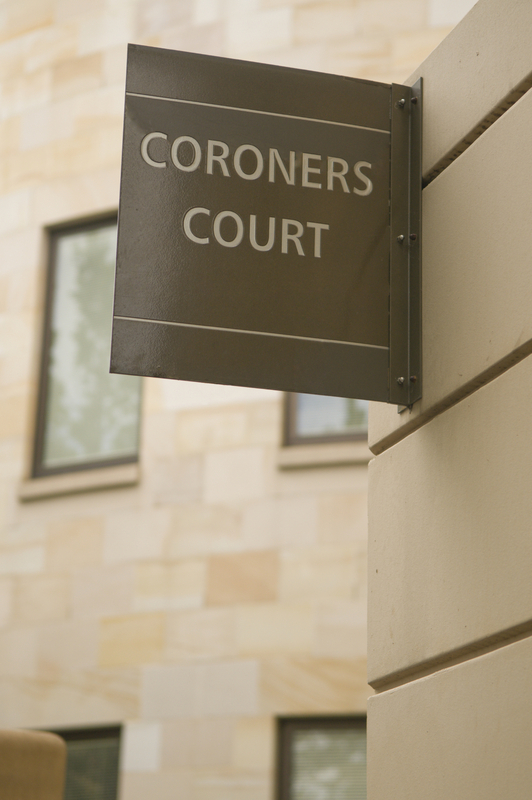 If a family objects to a coroner’s decision to undertake a post-mortem, and the coroner insists upon it, the only option is to apply for a judicial review of this decision through the civil courts. This is an application to a senior judge to review the actions of the coroner and rule on whether they have been reasonable in the way that they made their decision. They can then make rulings that the coroner can be bound by. Any application for a judicial review needs to be made as a matter of urgency if a family is unhappy with a coroner’s decision to undertake a post-mortem, as the post-mortem will be undertaken as soon as practicable. They should take specialist legal advice on this process. Do I get a copy of the post-mortem report? Once the pathologist has carried out the post-mortem, they will write a report for the coroner. Relatives are allowed to request copies of the post-mortem report from the coroner as an interested party. The post-mortem report can be quite a technical document, and will be set out in a very medical and matter-of-fact way. This may naturally be distressing for families when reading about their loved one, and you should be ready for this when considering reading the report. The pathologist will usually also attend the inquest hearing as a witness if there is one, to talk about the post-mortem and their findings in person. The family, or their legal representative, can ask them questions as part of the process. Can I get legal help with the post-mortem and inquest? We are able to help families with inquests where there are concerns about the medical treatment they have received, and there is found to be negligence. Whilst investigating the standard of the treatment provided, we are also able to put you in contact with specialist organisations who can offer support during the process.